Dang. There’s gonna be a whole lot of imbibing going on this weekend in Durango. Nobody likes beer, which is why no one comes to the San Juan Brewfest in Durango. Obviously. 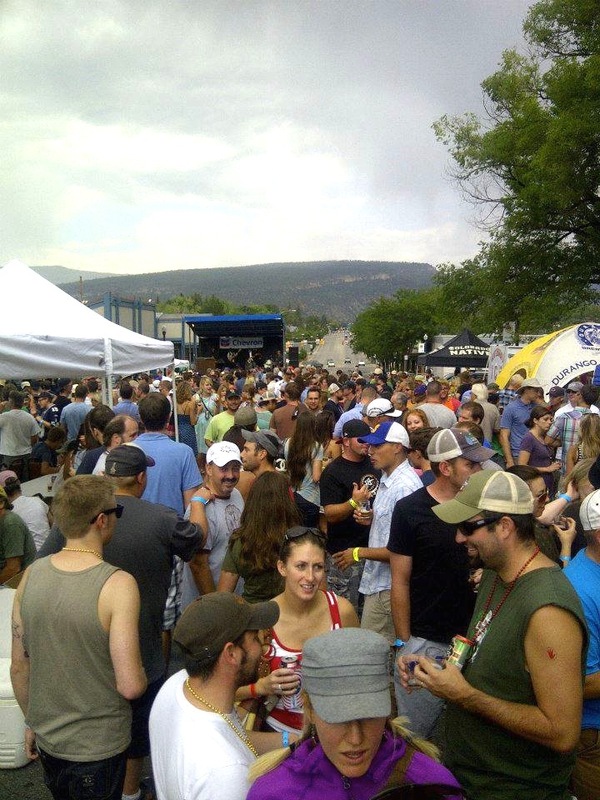 Not only is the Mesa Verde Country Food, Wine & Art Festival happening in Cortez this weekend, Saturday is the 15th annual San Juan Brewfest at Buckley Park in downtown Durango, Colorado. The festival features — ready for this? — more than 40 breweries, including Colorado favorites such as Left Hand Brewing, New Belgium Brewing and Oskar Blues as well as hometown heroes Carver Brewing Co., Durango Brewing Co. and Ska Brewing Co. There will also be food vendors and live music. General admission tickets cost $25 and get you into the event from 1 p.m. to 5 p.m. Saturday, Aug. 24. Each ticket includes a 5-ounce souvenir mug and unlimited tastings. VIP tickets are $50 and get you into the event at noon — an hour earlier than the unwashed masses — and include access to the Brewfest VIP tent as well as an invitation to the Brewers’ Party on Friday night at El Rancho Tavern in downtown Durango. Added bonus: The San Juan Brewfest benefits the United Way of Southwest Colorado, so you don’t have to feel as guilty about having a few (cough-morethanafew-cough) brewskis. Added added bonus: The Durango Quality Inn is only a mile north of Buckley Park on Main Avenue, so you can either catch the city’s free trolley, catch a cab or walk/stumble home. Book your room today!